But Cuba’s hotels and restaurants are packed, major U.S. airlines are adding flights and government stores are full of frozen American chicken and U.S.-made candy. So far, Cuba is weathering the storm as Venezuela’s economy craters and protesters fill its streets to denounce Cuba’s greatest socialist ally. A much-feared return to Cuba’s post-Soviet “Special Period” of food shortages and blackouts has yet to materialize as energy conservation and a boom in tourism and overseas remittances cushion the blow of a roughly 50 percent cut in Venezuelan oil aid worth hundreds of millions of dollars a year. Interminable bus lines and long hunts for products like milk, paint and cement seem manageable by comparison with the hunger and hardship of the early 1990s that followed the drastic loss of Soviet bloc aid and subsidies that had propped up Cuba’s economy for decades. Still, Cubans are nervously watching Venezuela for signs of a deeper cut in oil shipments, which are paid for with the services of Cuban state doctors on “missions” in poor Venezuelan neighborhoods. So far, the Cuban government has funneled nearly all the cuts into the state sector, cutting air conditioning and summer work hours at government offices and, most recently, eliminating the supply of higher-octane “special” gasoline for state employees. The special gas is entirely imported while regular is maintained through the small but steady domestic oil production on Cuba’s north-central coast, which touches the oil-rich Gulf of Mexico. Owners of modern, fuel-injected cars buy special if they can afford it to prevent the lower-octane fuel from damaging their engines. Many gas stations around the capital appear to have permanently stopped selling even regular gasoline, their pumps blocked off by orange traffic cones. The column of black smoke from one of Cuba’s main refineries, the Nico Lopez facility overlooking Havana Bay, has disappeared without explanation, leaving the skies clearer but residents worried about Cuba’s future energy supplies. 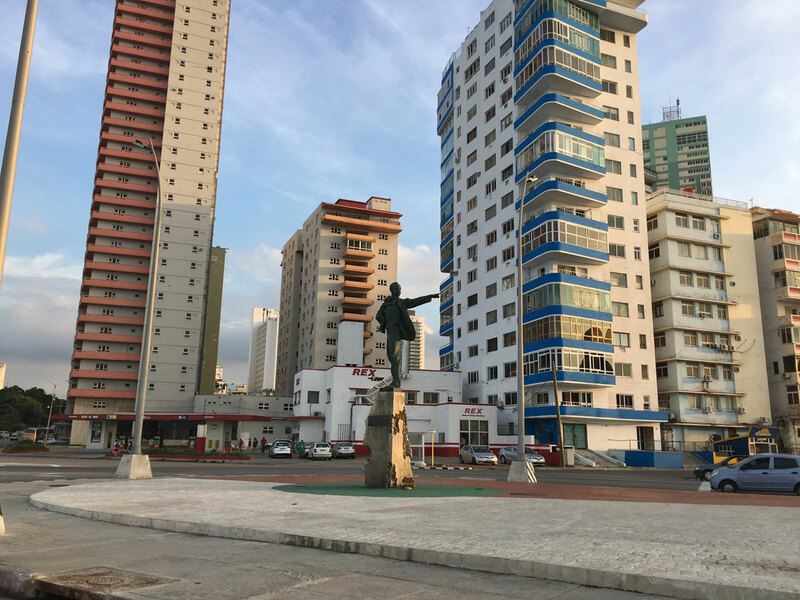 The replacement of oil money with tourism dollars has accelerated both the decline of Cuba’s ailing state-run businesses and the growth of its small private sector. Whereas oil money went entirely to the Communist state, much of the tourism is going to private enterprise – taxi drivers, private restaurants and bed-and-breakfasts that provide higher value service to tourists trying to avoid the high prices and poor service at state-run eateries and hotels. There’s also a geographic disparity, with rural areas and towns that don’t draw tourists seeing deeper, more protracted shortages. In Cuba, there’s a widespread sense that deeper cuts in Venezuelan oil would push the entire country over the edge into intolerable economic problems. Fidel’s brother and successor, President Raul Castro, has announced that he will step down from the presidency in February 2018. His most likely successor appears to be his first vice-president, 56-year-old Communist Party official Miguel Diaz-Canel, but the government has said nothing about the handover process. Cubans are highly skeptical that a new leader without the credibility conferred by the Castros’ founding role in the Cuban revolution will be able to guide an increasingly well-informed and worldly population through a new period of profound economic hardship. The communist government is weathering the storm, but Cuba’s future looks uncertain in Venezuela crisis. How is Venezuela’s crisis affecting Cuba now.